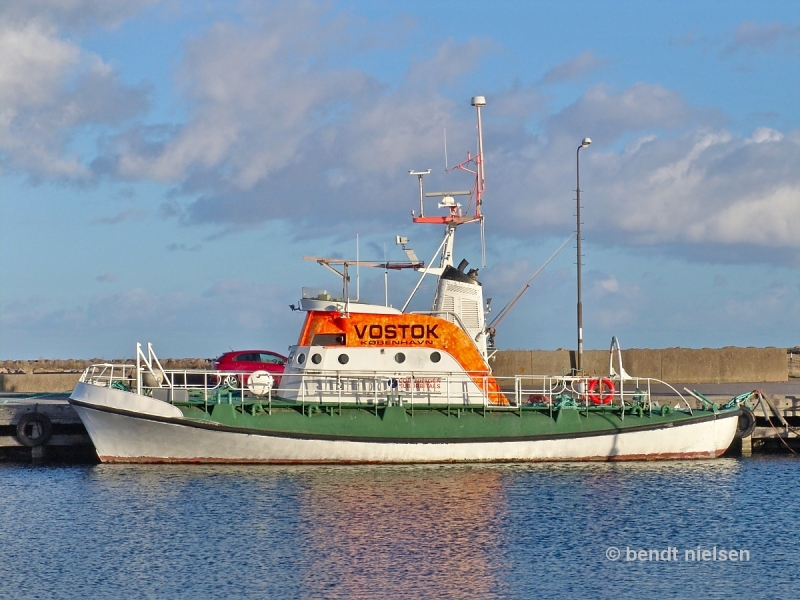 VOSTOK seen here at berth in Neksø Havn / Bornholm / Denmark. VOSTOK is accompanying and lifeboat for Rocket Launcher platform SPUTNIK. Hi Michael, thank you very much for your information.